How Can Museums Best Protect Their Assets? In this age of increasing hacks and cybercrime, the Norman Rockwell Museum has a lot of digital assets, museum operations data, and private patron data that need to be protected. Find out why Frank Kennedy, IT manager at the Rockwell museum, chose Veritas Backup Exec to be a key part of the museum's security strategy. 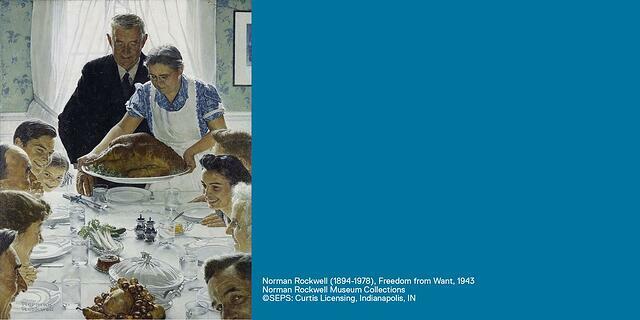 Norman Rockwell is one of the great iconic painters and illustrators of American life in the 20th century. His hundreds of covers for the Saturday Evening Post magazine alone are a national treasure. The Norman Rockwell Museum is located in Stockbridge, Massachusetts, where Rockwell spent the last part of his celebrated life. The museum started two years before Rockwell's death in 1978 and houses over 100,000 of his works and also those of other illustrators. The museum now has 140,000 annual visitors, and 220,000 people view its traveling exhibitions each year. It also has an active website with more than 600,000 worldwide unique visitors per year. IT Manager Frank Kennedy is an IT department of one (plus an occasional contractor). He supports 90 staff and volunteers and is responsible for critical information security and data protection for the museum. The museum's IT network consists of several large physical servers and many single-purpose virtual machines. The single-purpose virtual machines allow for emergency service without disrupting other departments. 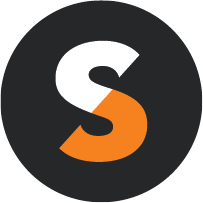 Frank says, "Most of our enterprise software is procured via TechSoup, which makes it affordable to license so many servers! We do not have to make do with weak, low-budget software." Frank Kennedy explains that digital assets are of increasing importance in the work of museums. There are high-resolution images or copies of art works that must be carefully stored to preserve work in its best condition. He says that digital versions are often irreplaceable, as when the original object is disintegrating or would be damaged by further handling. The digital versions keep a faithful record of the art in its best state. The most sensitive objects of this museum include a collection of Rockwell's cellulose nitrate film negatives, which deteriorate over time. The museum also has analog audio and video tape and motion picture film that deteriorates, as well as works on paper that degrade with exposure to light. Other crucial data for the museum includes databases for collection management, point of sale records, donor management, and email. Frank's data backup system is designed to be redundant on purpose. He says, "Protecting this data means keeping many copies in many places. Doing so becomes a big challenge when the size of the data becomes several terabytes. I use many layers of redundancy." As the museum's data got bigger and bigger, and server patches piled on, the museum's previous museum data protection solution eventually became unstable. Frank reports that his backups were failing constantly and causing him stress in his careful, risk-based management approach. When he first went to get a new backup solution from TechSoup, he discovered that what he needed was not available. He says, "The cost for the options I use would have been over $4,000 per year, unbudgeted. TechSoup responded to users' desperate cry and worked with Veritas to bring Backup Exec back to TechSoup! I can't even describe my relief. Veritas Backup Exec is better than ever. It is so stable that I get suspicious and have to go look just to be sure it's really working!" Backup Exec is powerful software geared toward backing up an entire network. It requires some study to do the installation and learn the software. You don't get phone support with the charity licensing, so you need to be comfortable Googling for answers and working in the Veritas community support forum. Frank recommends dedicating a strong server for running the software. He likes eight cores and 32 GB of RAM; hot-swappable, hot-growable RAID-5; fast network connectivity; and a very large uninterruptible power supply (UPS). Avoid the temptation to install other services or applications on what seems to be a machine that is often idle. Frank's experience is that "Veritas Backup Exec is the best, most reliable, most flexible, and versatile backup software you can get. Commit the needed resources to operate it, and you will be rewarded with peace of mind and business continuity. Your donors will be pleased that you are protecting their investment so carefully."